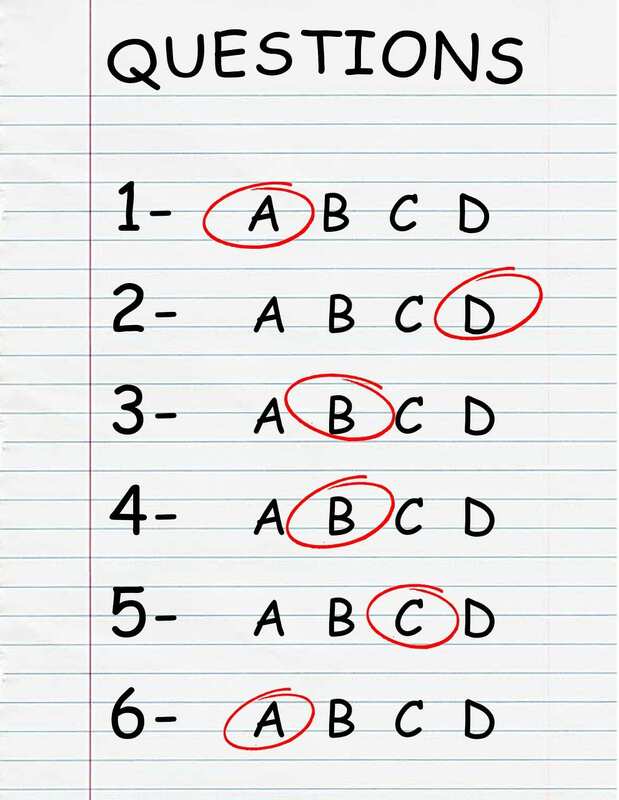 The Best Ways To Use Multiple Choice Exercises contains a number of intriguing ideas on how to use multiple-choice assessments. @teacher2teacher She said that if a question has, say, 5 choices, they need to cross off three of them, leaving them with a 50/50 shot of getting it right. Then they'll get half credit if they chose the wrong one. Nothing if they cross off too few or cross off the correct answer. I did something similar in my chemistry class. The multiple-choice question was followed by a brief short answer asking them to explain their thinking. If they couldn’t, or if they’re thinking was erroneous, it changed with they were given for their correct mult-choice answer. If they left the short answer blank, they were given no credit on the multiple-choice answer above it. If you can’t tell me why you chose something, then you are guessing. Even a wrong explanation tells me something, and that’s important.